Net Soft LabInternet Marketing Services to businesses of all sizes, now on 3 continents. Our service offerings include Search Engine Marketing(SEM) Search Engine Optimization (SEO), Pay per Click (PPC) Management, Conversion Optimization, Social Media Optimization Web 2.0 Programming, E-commerce Design and Management, SEO Copywriting and numerous additional supporting processes and sub-specialties. Swarms businesses with prospective customers. Diverts web traffic to a business website. Business marketed with Pay Per Click (PPC) tool has a rich business prospect within its area of functioning. Brings top ranking, thus increases visibility on leading Search Engines etc. Net Soft Lab is one of the trusted Website Promotion Companies, specializing in promoting business with the power of Internet Marketing. 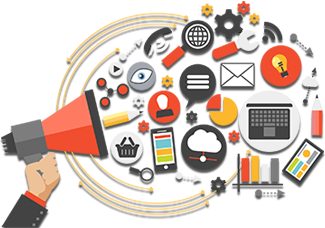 Internet Marketing Promotion and Brand Development hasn't remained a hefty task now, as Net Soft Lab, a leading Search Engine Marketing Company in India, offers power-packed solutions to fortify your business activities in an altogether manner.